The Pension Transitional Arrangement Directorate (PTAD) has concluded plans for the verification of pensioners of Federal Government-funded parastatals, agencies, and institutions under the Defined Benefit Scheme (DBS). The management of PTAD in Abuja explained that the verification would comprise 104,133 pensioners and Next of Kin (NoK) from 270 Federal funded establishments. According to PTAD, the exercise will hold in all the six geo-political zones of the country and Lagos. 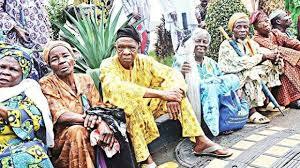 Pensioners of defunct and privatised agencies will also be verified during the exercise. PTAD listed Nigeria Aviation Handling Company ( NAHCO), Assurance Bank, Nigerian National Shipping Line (NNSL), and Aluminium Smelter Company Of Nigeria (ALSCON) as defunct agencies. The directorate said that the exercise was to validate inherited payrolls from the various defunct pension boards and offices which handled payment of pensioners under the DBS. Prior to the enactment of the Pension Reform Act 2004, pension schemes in the country had been bedeviled by many problems. The Public Service operated an unfunded Defined Benefits Scheme and the payment of retirement benefits were budgeted annually. The directorate also said the verification was also designed to create a comprehensive digital database of pensioners. “The exercise will also facilitate easy access and retrieval of records for computation and prompt complaints resolution. “ It will also ensure that monthly pension is accurately calculated and reflects application of relevant pension statutes, policy and salary structures. “This verification exercise is not for Customs, Immigration and Prisons Pensioners, Civil Service Pensioners or Police pensioners,’’ PTAD said. According to the directorate, the exercise is not for parastatals pensioners that have already been verified. The directorate identified some of the verified parastatals as Delta Steel Company (DSC), NITEL/Mtel, NICON Insurance, Nigeria Reinsurance, and New Nigeria Newspapers (NNN). Others are Savannah Sugar Company Ltd, Federal Housing Authority (FHA), and Nigerian Defense Academy (Civilians). PTAD said that the verification of pensioners and NoKs would be done in phases across the country. The directorate, therefore, urged pensioners to note that they would not have to travel to the state they retired from to be verified as they would be attended to in the state they were currently residing. “The first phase of the verification will commence in Lagos from April 23 to May 9 in centres located in Ikeja, Ketu, Akoka, Ebute Metta, and Lagos Island. “Others are South-South (May 20 to June 1), South-West (June 10 to June 26), North-Central (July 8 to July 24), and North-East (Aug. 5 to Aug. 9).